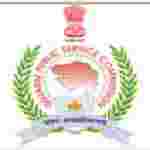 Gujarat PSC Medical officer recruitment 2016-17 notification apply online: Gujarat Public service commission (GPSC) welcomes application for the position of 1541 Medical officer, Gujarat Health service, class – II for the economical weaker section belonging to general categories.Candidates who completed their Degree is a good opportunity.The individuals who are the occupation seekers searching for govt employments in Gujarat this is the best chance to apply. Competitors read the official notification then read all the guidelines and miners precisely then apply before the last date online application got. All the interested and eligible candidates can apply online before 16th August 2016. Candidates Age Limit: The age of the candidate should be up to 40 years. The age of the applicant should be as on 16th May 2016. Academic qualification details: Candidates should possess a degree of bachelor of Medicine and bachelor of surgery of any of the recognized university / institution or deemed university or possess any other qualification specified in the first or second schedule to the Indian Medical council act 1956 / applicant possess the basic knowledge of computer applications as prescribed in the Gujarat civil services classification and recruitment (General) rules 1967 as amended from time to time. Details of Fee particulars: All the interested and eligible candidates are need to pay application fee Rs 100/- plus postal service charges. Fee can be pay through Indian postal order / online payment. Official website: All the interested and eligible candidates can apply online through official website of Gujarat public service commission (GPSC) http://gpsc-ojas.guj.nic.in from 15th July 2016 to 16th August 2016. Important Dates: Starting date for the submission of online application is 15th July 2016. Last date for the submission of online application is 16th August 2016. Date of preliminary examination is 4th December 2016.